III Panzer Corps was formed in June 1942 from III Army Corps and attached to Army Group A, the formation tasked with capturing the Caucasus as a part of Fall Blau. After the loss of the 6th Army at the Battle of Stalingrad, III Panzer Corps took part in the battles around Kharkov as part of Army Group Don. During Operation Citadel, the Corps was the striking force of Army Detachment Kempf as they attempted to protect the right flank of the 4th Panzer Army. It was involved in the retreat from Belgorod to the Dniepr. At the beginning of 1944, the Corps participated in the relief of the forces trapped in the Korsun-Cherkassy Pocket. 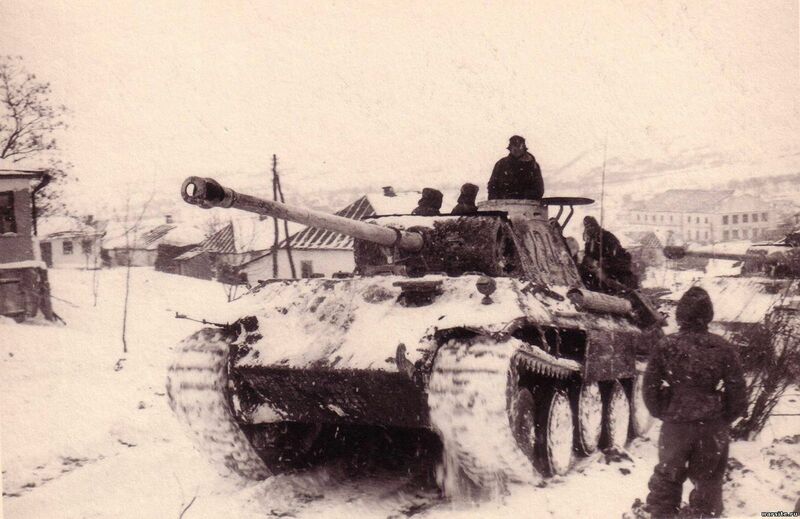 In March the Corps was encircled in the Kamenets-Podolsky pocket, along with the rest of the 1st Panzer Army. III Corps drove the breakout and escape. Due to heavy losses, from November 1944 to January 1945, the corps was redesignated as Gruppe Breith, after its commander General der Panzertruppen Hermann Breith. In late 1944, III Panzerkorps participated in Operation Konrad, the failed attempts to relieve the German and Hungarian garrison at Budapest. The corps then took part in Operation Spring Awakening in Hungary. After its failure, the corps retreated through Austria, surrendering to the U.S. Army on 8 May 1945. The KV series of tanks in the Soviet arsenal took the invading Germans by surprise, finding their anti tank weapons to be totally ineffective against these heavily armored monsters. Anecdotally the 37mm Pak Gun became known as the doorknocker as you could sit there all day and it would have no effect on the tank or the crews inside. 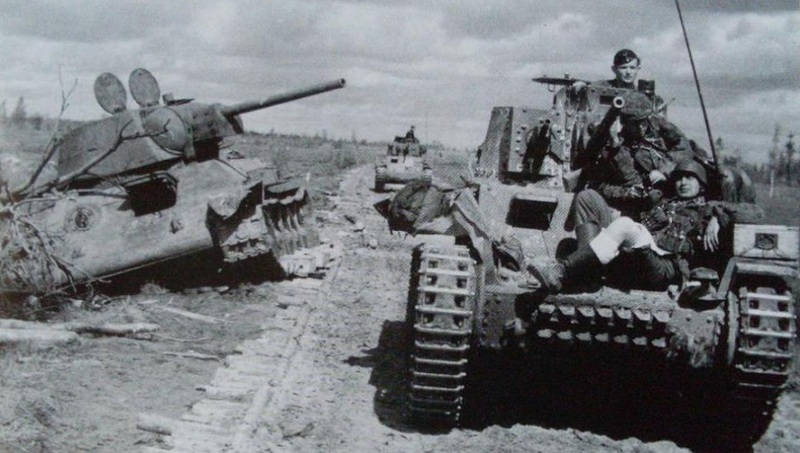 Here’s a gif for you today, a camera mounted on the turret of a Tiger I traverses across an open field with another four Tiger I’s in the foreground. One has to remember that all of these images and videos that provide us with a glimpse into the past; in this case the second world war, were captured by men and a few women on the front lines of combat. Many of whom paid for their footage with their lives.